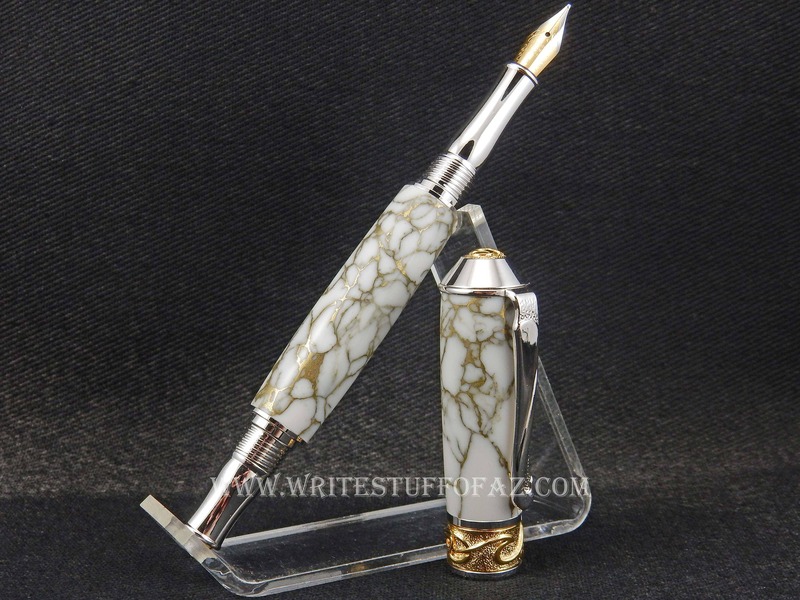 Exuding style and class, this pen is sure to impress. It is hand-crafted from TruStone white resin with gold matrix, polished to a mirror shine and paired with fittings plated in two very durable microns of rhodium (a member of the platinum family) and 22k gold plating which will resist virtually all normal wear and tear and some not-so-normal. The nib is an upgraded Heritance brand nib, available in either fine or medium point - your choice. 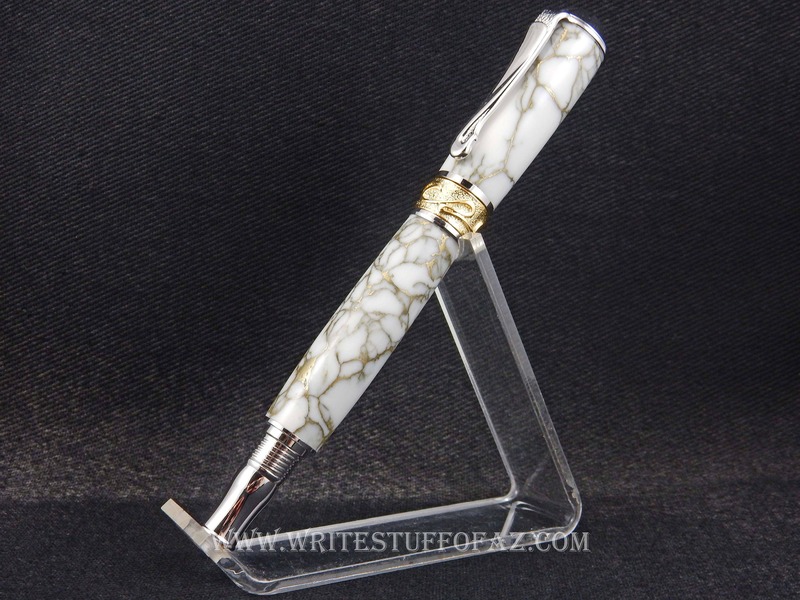 Designed by the famed David Broadwell, who has been featured in Stylophiles, Pen World International, and Stylus Magazine, and whose hand-made pens have been known to sell for thousands of dollars, this LIMITED EDITION pen's every meticulous detail has been well thought out to complement every other detail. The pen uses either the pre-filled, disposable ink cartridges or the refillable reservoir (often called a converter) for use with your choice of inks. A pre-filled disposable cartridge AND a refillable reservoir accompany the purchase.